The U.S. Food and Drug Administration (FDA) has cleared Siemens Healthineers’ MAGNETOM Vida 3 Tesla (3T) magnetic resonance imaging (MRI) scanner for commercial sales in the United States. This new scanner features new BioMatrix technology that addresses inherent anatomical and physiological differences among patients, as well as user variability. By reducing this variability among patients and users, the scanner’s BioMatrix technology can lower the number of rescans and increase productivity to improve MRI’s cost efficiency. The versatile MAGNETOM Vida with BioMatrix technology is designed to perform a full range of routine and complex examinations. BioMatrix Sensors built into the scanner’s new patient table automatically track respiratory patterns as soon as the patient lies on the table. This provides information that can help formulate the optimal exam strategy. The scanner’s intuitive user interface permits correct one-touch positioning of the patient table based on intelligent body models. BioMatrix Tuners improve the quality and reproducibility of whole-spine diffusion imaging via individual slice adjustments that mitigate distortion that otherwise may occur, especially at 3T. Biomatrix Interfaces help ensure consistently high exam quality, accelerating scanning by up to 30 percent. A new system architecture offers extremely high performance and long-term stability without the need for additional space. The scanner’s 60/200 XT gradient system offers the most powerful commercially available gradients in a 70-cm bore scanner, according to Siemens Healthineers. The 55x55x50 cm field of view enables coverage of larger body regions in one step. The MAGNETOM Vida offers a new generation of ultra-high-density Biomatrix coils with a patient adaptive design for increased accuracy, flexibility, and speed. The BioMatrix Spine coils acquire and display patient respiratory data without requiring user interaction. The Biomatrix Head and Neck coils possess CoilShim technology to ensure reproducible image quality in every patient. For orthopedic applications, the new Shoulder Shape and Tx/Rx Knee coils possess an anthropomorphic design that permits greater flexibility to accommodate large patients. And for multipurpose imaging, the UltraFlex Large and Small coils combine ultra-high coil element density and high flexibility. 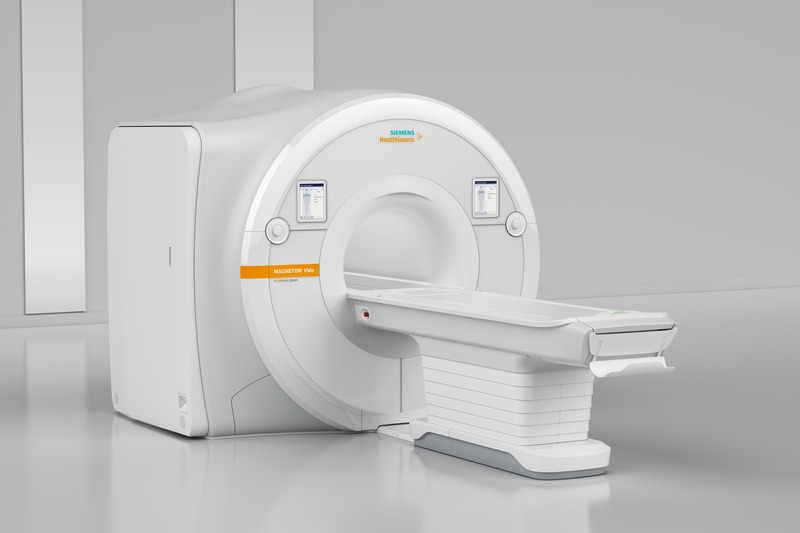 FDA clears MAGNETOM Vida 3T MRI system from Siemens Healthineers. Appl Radiol.